Making lives better, one foot at a time. Artineli Foot Care Solutions has been recognized as a top Memphis Podiatry practice in 2015. Congratulations to the entire team! We are a full service Podiatry Clinic providing care in every aspect of foot health. 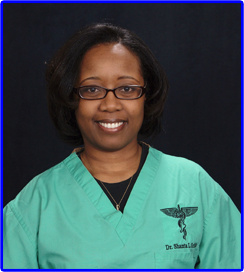 From routine exams to spa treatments to surgery, Dr. Shanta L. Griffin can help fulfill your needs. Take the first step towards better foot health by making an appointment at Artineli Foot Care Solutions. Artineli Foot Care Solutions provides high quality care for foot and ankle ailments in a warm, professional, and friendly environment. We do this by treating everyone like family. All are welcome at Artineli Foot Care Solutions because everyone experiences foot problems at some point or another. We hope to alleviate painful symptoms, as well as, educate the public about proper foot care. Changing lives, one foot at a time. Tired of the agony of "de-FEET"? Most insurance plans are accepted (including Medicare and Medicaid). Copyright © Artineli Foot Care Solutions PLLC 2014 All Rights Reserved.